Witches, vampires and daemons battle for power in A Discovery of Witches, a supernatural fantasy drama based on Deborah Harkness’s bestselling All Souls novels. DQ visits the Cardiff set to meet stars Teresa Palmer, Matthew Goode and executive producer Jane Tranter. It’s the supernatural equivalent of an arm wrestle. Satu, a bad witch, is testing the power of Diana, a good witch. How is Satu doing this? In the usual way that witches test each other – by dropping her rival down an oubliette. This is a pivotal scene from A Discovery of Witches, Kate Brooke’s adaptation of Deborah Harkness’s best-selling All Souls novels. Launching on Sky1 and Now TV in the UK this Friday, the drama conjures up the existential battle between three types of supernatural creatures – witches, vampires and daemons – who walk among us entirely unnoticed. A Sky Original Production made by Bad Wolf and distributed by Sky Vision, the series focuses on Diana Bishop (Teresa Palmer). She is an Oxford University academic who has no inkling that she is the most potent witch in the world. When she happens upon Ashmole 782, a bewitched ancient tome that contains the secrets of the creatures’ existence, all hell breaks loose. 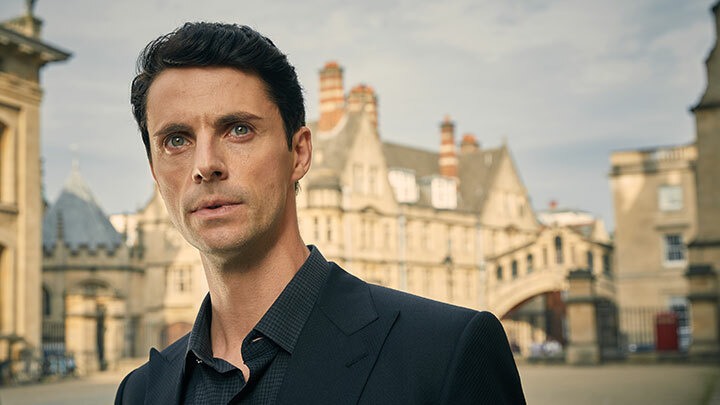 Before you can say, “pass the garlic,” she is receiving unwanted visits from Professor Matthew Clairmont (Matthew Goode), a magnetic, 1,500-year-old vampire. He has spent centuries searching for Ashmole 782, which he believes will help revive the vampires’ fading powers. But he also issues Diana with a warning that she will attract the attention of other, more venal creatures who will stop at nothing to get hold of the book. In the creatures’ realm, relationships between species are strictly forbidden. Despite that, Diana and Matthew find it hard to suppress their growing feelings for each other. It’s a supernatural take on Romeo and Juliet. “Thrown down an oubliette – never a great place to be!” Goode interjects with a laugh. Jane Tranter, the executive producer on A Discovery of Witches, joins the discussion. The former head of drama at the BBC now runs her own production company, Bad Wolf, which is also currently making a major new adaptation of Philip Pullman’s acclaimed cycle of novels His Dark Materials. 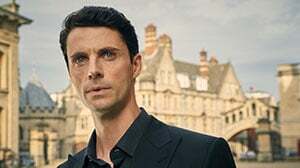 Also responsible for such well-regarded dramas as The Night Of, Luther, Torchwood and Succession, she begins by explaining why Harkness’s novels lend themselves so well to television. Her belief was strengthened by a single game-changing programme. “Game of Thrones changed a lot,” Tranter continues. “It enabled me to get the rights for both A Discovery of Witches and His Dark Materials. Authors suddenly realised that TV could capture their work in a way people previously thought only film could. Part of the appeal of A Discovery of Witches is the fact that the creatures are hiding in plain sight. So the actors have to create characters who do not stand out from the crowd. Goode, who played Lord Snowdon in the first two seasons of Netflix’s The Crown, elaborates: “We’re trying to do something not too exotic. The fantasy genre – as manifest in dramas such as A Discovery of Witches, Game of Thrones and True Blood – is immensely popular right now, and Palmer believes the reason is simple. “It’s very exciting to delve into an unknown and scary world. You can let your imagination run wild,” she says. One very strong message to emerge from A Discovery of Witches is the power of women. According to Palmer, “what is particularly enticing about this story is the fact that Diana is the most powerful witch in the world without even knowing it. In general, there is a great movement towards showing strong women on TV and film. It’s really nice to play someone who has a lot to say and is stronger than the guys. Tranter says A Discovery of Witches is “a dramatisation of the need for tolerance and acceptance. It doesn’t show witches, vampires and daemons as odd. Above all, the response I had to the book was that it’s a love letter to our world, told through non-human species. It’s a beautiful world, but it still has some dark places.